I haven’t put a gooey, messy mask on my face for years. It’s not just that I’m lazy—because I am lazy when it comes to beauty regimes that require me to get my hands dirty and stay still for any amount of time. It’s because once you experience the amazingness that is the Liquid Ice Mask, you can never go back to putting a layer of goop on your face. The Non-Messy Part: prefabricated cloth face mask comes rolled up in tiny pod. Pour Liquid Ice activator into pod and let mask absorb the magic. 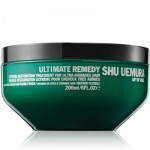 Unroll mask and apply to face. Revel in soothing, cooling sensation. 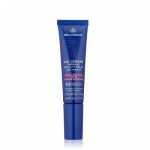 The Miraculous Part: ten minutes later, pores are smaller, complexion is calm and wrinkles are smoother, lines diminished. 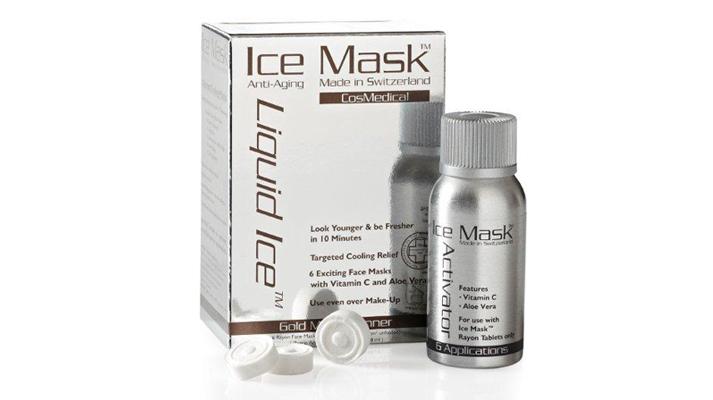 How it Works: The Liquid Ice Mask contains a powerful cocktail of vitamin C, aloe vera, several moisturizers and a unique “liquid ice” technology that combine to provide intense hydration and a deep cooling effect that reaches several layers down, into the facial ligaments. It feels a little bit like eucalyptus on your face in a blizzard. But in a good way, I swear. The best part is that you can use this mask over makeup. I usually use it before an evening out, prior to touching up. It’s the fastest way to look tighter and brighter after a long day, or banish a puffy face in the morning.